Depth hits several genre niches all at once. It’s a noir mystery story, effectively written in the style of the old forties detective paperbacks or films like The Maltese Falcon or Casablanca, given a sci-fi environment for flavour. In this case, the environment is a partially submerged New York – it’s implied that the polar ice caps have melted, that sea levels have risen, and that the city is now only accessible above the twenty-first floor. What is now the rest of the US East coast is entirely beneath the waves, and the remainder now operates under a far more conservative government ; there are a few whiffs of McCarthy and ‘decency laws’ here, but really it just helps to provide a context. New York, far out of reach of ‘The Mainland’ acts as a meeting place, as a clearinghouse for illicit activity, for people prepared to work, make money, and not ask too many questions – reminiscent of the LA of Chinatown, or, again, Casablanca. The protagonist is a PI with something of a mysterious past, a fast gun arm, and trouble making friends. Again, this seems to be a deliberate evocation of the 30’s noir tropes; that the protagonist is a woman is something of a break with those tropes, but it’s nice to see a strong female protagonist, one who isn’t afraid to talk when possible, investigate when required, and shoot where necessary. In that sense, she’s a classic noir hero – fast talking, not afraid of risk or violence, and a bit of a tarnished paladin on a quest for truth. The whole character is marvellously drawn, and entirely believable – there’s little human foibles, social anxiety, and a steely determination so solve whichever case has come along ; this all makes for a good character to follow, and one which, given flaws and foibles, it’s easy to empathise with and care about through the narrative. The narrative in which the character finds themselves is also, fortunately, an excellent one. 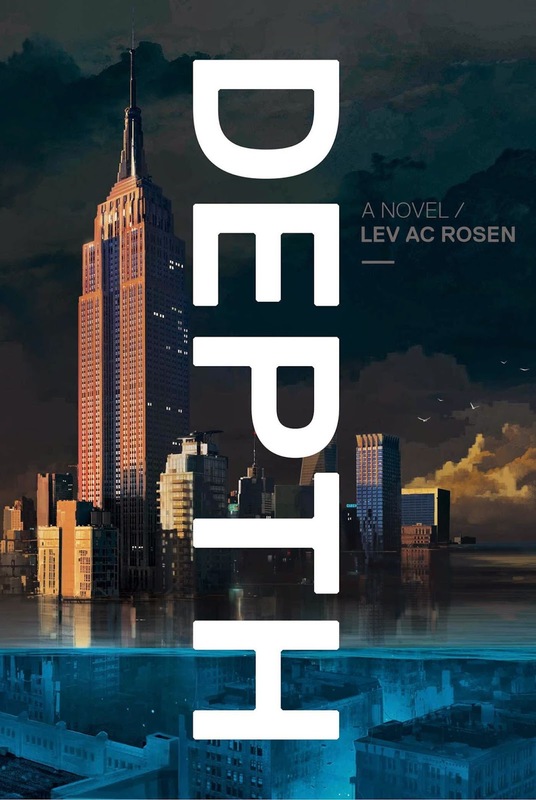 The submerged pillars of the New York skyline give the whole text a slightly claustrophobic, brooding aura, as characters negotiate their way across the treacherous waters of the cityscape, both physically and metaphorically. As you’d expect from any good noir, there’s crosses, double crosses and triple crosses. Misunderstandings quickly spiral out of control, and may or may not be put right. The investigative portion is reasonably slow passed, allowing for reader reflection, interpolated with outbursts of action, revelations, and betrayals There’s even the usual Mysterious Blonde! I don’t want to get into specifics for the sake of spoilers, but suffice to say that the denoument was rather startling, and does well by the traditions of the genre; the whole mystery central to the narrative has obviously been carefully crafted, and in the end, it all concludes wonderfully. At the end of the day, this is a love letter to the noir tradition, wrapped in a unique and interesting world. The mystery is involving, and will keep you guessing. The protagonist is convincing, flawed, and a pleasure to read about. The narrative left me wanting more, and as such, I can highly recommend it.